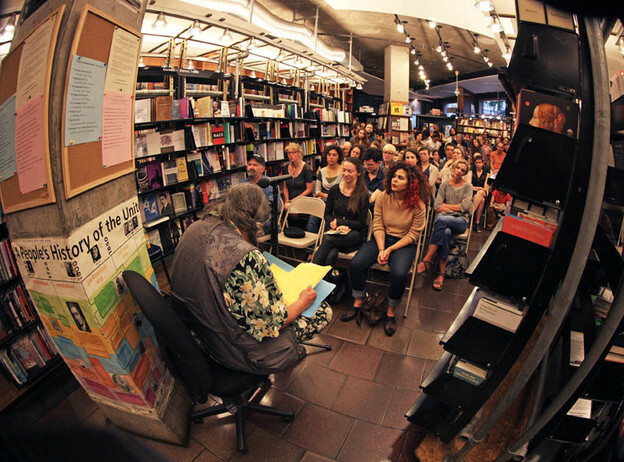 Matvei Yankelevich and Bernadette Mayer read at St. Mark’s Bookshop on East 3rd Street on June 11, 2012. Lewis Warsh hosted. Our favorite literary photographer, Lawerence Schwartzwald, was there and took this shot of Bernadette during her performance.